Finally the day has arrived. The opportunity you have been waiting for is here. Years of musical theatre college and training have led up to this moment. You love what you have read about the play, you’ve learned the songs by rote, and you have heard great things about the director. You have been preparing your lines for the audition and you feel you know and identify with the character and are desperate for the opportunity to step into the role. But as you step onto the stage and face the audition panel, you clam up, blush and start to sweat. Your mouth dries up and none of the words come out. What is going on? Stage fright – or performance anxiety – is something you should be prepared for so that you can deal with it when it happens, or possibly even prevent it happening altogether. But it is not something that just happens to beginners. The most famous of actors have had to cope with it, on stage, in front of their audiences, ad libbing their way until their lines come back to them. If we take a look at some of the world’s best-known actors and stage performers we see that it is a problem which many have had to face in some form at some point in their career. 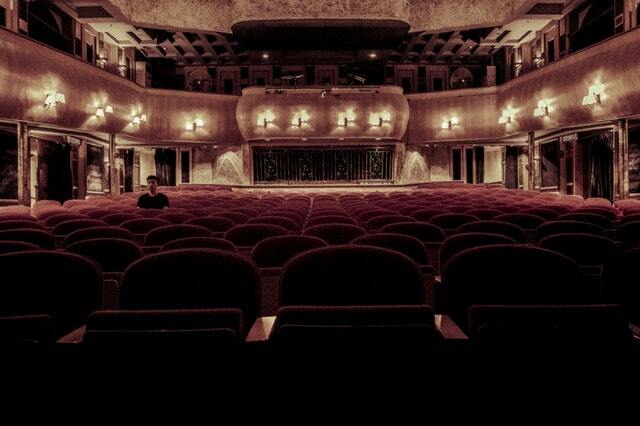 The reason for stage fright is pretty obvious: fear of failure in front of an audience. As the audience chanted “Crucify him!”, the club host repeated into his microphone, “Totally boring.” It took Carrey two years to get back onto a stage. But it’s a good job he did, otherwise he may have missed out on mainstream Hollywood success decades later. Another Kind of Anxiety – What Will the House Think? Eighty-one year old actor William Shatner may be best known as Star Trek’s Captain James T. Kirk, but he started out in theatre college and went on to perform Shakespeare. Of his own stage fright, Shatner says “my fears are not the primitive, ‘I’m afraid I can’t talk’ kind of fear that young actors have.” Instead, he said ahead of the show that he feared tickets would not sell. Though his recent biographical play Shatner’s World: We Just Live In It went down well abroad, he said he felt standards in New York were higher and was anxious about how the New York audience would accept him. Breathing deeply and visualization are one of the most common tips. And this is not just something to try when anxiety strikes, but should be part of the preparation for any role. If you’re undertaking musical theatre college you’ll be familiar with some methods already, but there are many books and websites which can help. If you don’t already have one, consider keeping a small item about your person which you always take on stage. Far from superstition, it can give you a genuine psychological edge just knowing its there. Richard Burton is said to have always worn something red, for instance. Always keep in mind that the audience are there to see the material being performed, not the people performing it (unless they’re celebrities). Rather than focusing on your stage fright or the audience in front of you, devote yourself 100% to the material and songs you’re delivering; not only will it ‘take you out of yourself’, but it’ll make for a better performance and you’ll end up enjoying the experience more. Although imagining the audience isn’t there works well for most people, that can manifest itself with bouts of ‘shoe-gazing’ as you nervously block out anything beyond the edge of the stage. If this sounds like you, try the opposite: whenever the audience applauds (or laughs on cue, or some other positive signal), acknowledge them with a wry smile or small salute. It’ll help break that nervous barrier between both parties, and remind everyone involved that you’re all part of a communal event designed to entertain. Do you suffer from butterflies before heading on stage? Ginger and peppermint tea are proven to help settle your stomach, and simply the act of taking five minutes to quietly sip some tea can help you get your head in the game. And remember, a little bit of performance anxiety is quite natural and is good for you. It is the fire that lights up your performance and makes you shine.